Few group get-togethers can surely be as depended-on to produce consistent moments of magic as a family reunion. After all, it’s not the kind of event that is exactly held every day, so it probably goes without saying that you will wish to make the next time your family meets up in such a fashion an occasion to remember, for all of the finest reasons. We admittedly may be just slightly biased here at Château Bouffémont, but the below are the elements that we feel you should especially look out for when comparing family reunion venues. Just how much of a family reunion is it? If your intended family reunion will entail little more than catching up with siblings who you see reasonably often regardless, it might be understandable to simply arrange the celebrations for home or a venue in your local area. Alternatively, you may be holding your fifth or 10th family reunion in as many years – or another similarly important milestone – or you may be set to welcome relatives who you haven’t come face to face with for many years. In the latter case, the circumstances may be just right to be ambitious, by investigating chateau rentals in France such as the acclaimed service that the prestigious, refined and elegant Château Bouffémont provides. How easy will it be for everyone to reach the venue location? 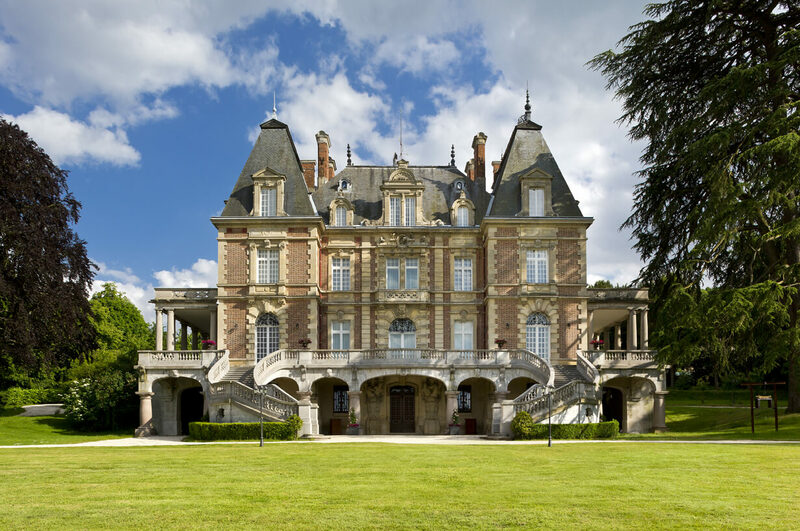 One factor that may initially deter you from any thought of renting out such a seemingly extravagant venue as a French chateau is the apparent difficulty of getting there and back home for all of your attendees. However, very few French chateaus can claim to be as conveniently situated for travel as the splendid Château Bouffémont. While this historic stone-built property’s surroundings may seem to be the epitome of a rural idyll – or the Montmorency Forest, to be exact – it is also only 20 minutes away from Charles de Gaulle Airport, and a 40-minute drive from central Paris. Nor does such close proximity to the City of Lights simply give you access to well-developed transport connections. That’s because there is also a wealth of exciting things to do with children in the French capital, as explained by the Tripsavvy website, which renders our chateau excellently placed for family day trips. What activities are on offer in and around the venue? Once the novelty of coming face to face once more with someone you may not have been in much contact with for years wears off, your family reunion may be at risk of feeling like a slightly austere meeting, rather than the fun opportunity to make new memories that you might have hoped it would be. This won’t be a concern if you rent out the fairytale venue for your get-together, however. This magnificent property’s three dining halls, dancing hall and lounge area – not to mention the jaw-dropping manicured grounds outside – beg for exploration. But even more than that, you and your family can also partake in all manner of other activities – from golf, tennis and horse riding to mountain biking, food and wine pairing and even chocolate workshops – that are a guaranteed source of thrills and giggles. 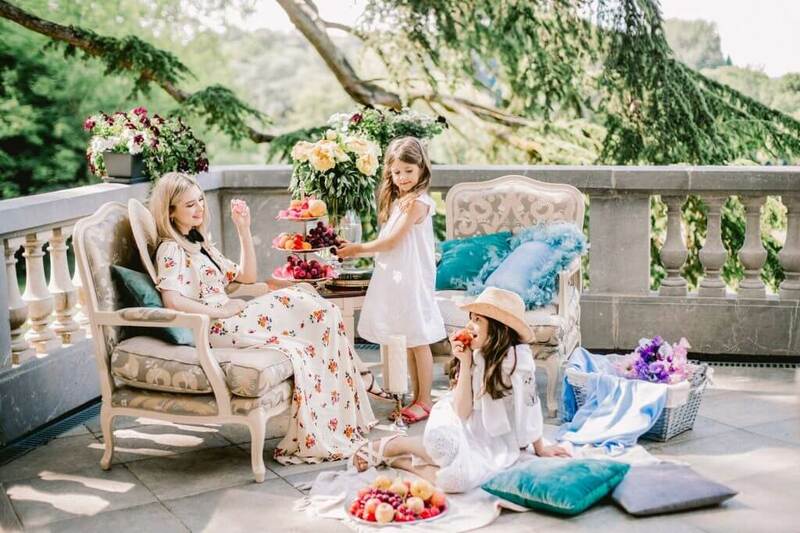 There’s also live entertainment, arts and crafts workshops and gardening activities on offer to delight the little ones, enhancing still further the remarkable credentials of Château Bouffémont as a family reunion venue. If you would like to hold your upcoming reunion with us here at Château Bouffémont, we would be pleased to be able to help you to make it a reality; feel free to get in touch with us to find out more. A Chateau in France is the singular of chateaux and forms a very special place at the heart of French society and culture. Originally defensive strongholds, they rapidly came to be anything from medieval keeps, castles and towers to decoratively elegant palaces and manor houses to represent the seats of power of their owners. They can be found all over France but are most numerous in the Loire Valley region in the North West of the country. There are several notable and world-famous chateaux in the country the show the glorious and distinctive history of France, her rulers and her people. The most famous Chateau in France is probably The Palace of Versailles located south west of Paris. A UNESCO world heritage site, Versailles was the principal seat of French rulers for over 100 years form its construction in 1682 to the revolution in 1789. The vision of Louis XIV, the Sun King, Versailles became famous for its extensive gardens with an intricate network of fountains, canals and geometric flower beds and groves. Versailles became a byword when it hosted the signing of the treaty that officially ended the First World War in 1919 and set the problematic terms for peace. Now owned by the French state as a museum and galleries, Versailles is the most popular chateau for visitors in the country. The magical and awe-inspiring Chateau de Chenonceau has to be seen to be believed. It spans a bridge over the river Cher in the Loire valley and begins with a medieval Keep at one end and a long angular art gallery on the other that sits atop the bridge. Originally built by the Marques family in the sixteenth century, it is currently owned by the Menier family who owned the famous chocolate brand. Used as a hospital during the First World War, it was bombed by both the Allies and the Axis in the Second World War. Aside from the beautiful river setting, the chateau also has extensive gardens and an intricate maze to entertain and confuse visitors. Chambord is the largest chateau in the Loire Valley and a unique mix of Renaissance and Medieval architecture and influences that was never formally completed. It was said to have been designed in part by Leonardo Da Vinci and was constructed as a residence by King Francois 1 beginning in 1519. It celebrates its 500th anniversary next year. The links to Leonardo Da Vinci don’t end there. At the outbreak of the Second World War, the art collections of the Louvre and Compiegne museums including the Mona Lisa and the Venus De Milo were housed here for safe keeping. They had a close call with an American B-24 Liberator bomber crashed on the lawn in 1944. The chateau has inspired architects and designers all over the world for centuries and many buildings including The Founders Building at the Woolwich College, University of London and Fettes College in Edinburgh take their unique looks from here. The Palace of Fontainebleau is now a national museum but is so much more. Another UNESCO World Heritage site, it was a residence for French rulers from Louis VII to Napoleon III. One of the largest royal chateaux, it was both a medieval royal castle and resplendent palace. Although most closely associated with Versailles, Louis XIV spent more time at Fontainebleau than at any of his other residences. Napoleon 1 loved it and renamed the main courtyard the Courtyard of Honor, a name which it is still known by today. Occupied at various points during the Second World War it later became the headquarters of the Allied Forces of Central Europe until 1966. The art galleries, museums and restored rooms contain priceless artefacts from all over the world as well as hosting magnificent gardens and landscapes for visitors to explore. Another UNESCO world heritage site and residents of French rulers from Louis VII to Napoleon III. It is now a national museum. One of the largest royal Chateau’s, it was a medieval royal castle and palace, Most famous for Versailles, Louis XIV spent more time here than any other monarch. Napoleon I loved it and renamed the main courtyard the Courtyard of Honor. It was occupied at various parts of the Second World War and afterwards served as the headquarters of the allied forces Central Europe under NATO until 1966. The art galleries and museums contain priceless artefacts from the French Republic, royalty and all over the world as well as hosting magnificent gardens and landscapes. Chateau Bouffemont is in good company when it comes to the homes and palaces of the nobility and leading citizens of France. You don’t need to be a King, Princess or an Emperor to experience such luxury and splendour today, just visit the website and see for yourself. to showcase its relevance to the market and highlight how engaged it is with its audience. you mustn’t ever be complacent about the standard of your organisation’s corporate photography. Here are some tips for ensuring the best results. which your images will be used may greatly influence your photographer’s choices. images to be cropped without being ruined. corporate event, such as its proximity to important transport connections and the price of the rental. of interesting backdrops and angles to work with? Bouffémont – is a firm reason why it is are such a popular choice for corporate venue hire in France. manicured French gardens, we can give you all of the advantages of such striking settings. out on taking a good image of someone who you wish to be photographed. sure to take some really interesting images. imagine themselves there, and artificial lighting can be rather detrimental to this aim. be convinced of the wisdom of taking a break from photography once guests start dining. while eating, and many of your attendees will probably be uncomfortable with you attempting this. events – potentially including yours. No city around the world has such an unimpeachable reputation for all things romantic as Paris, and there can surely be no more unspeakably romantic place to stay in the city than a chateau property. But wouldn’t it be even better to play, rest your head and dine in a chateau that really does offer the finest of both urban and rural surroundings? One Paris chateau that most certainly fulfils that brief is Château Bouffémont. 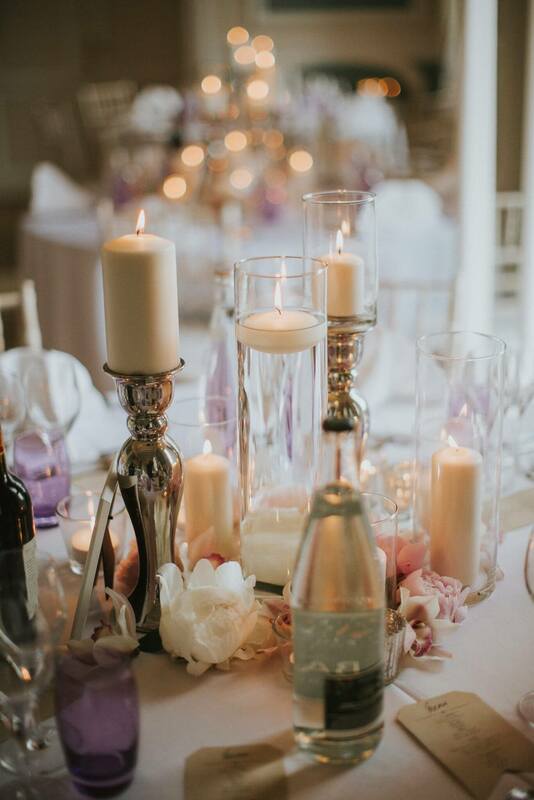 We are the very definition of a fairytale venue for events and overnight stays – albeit, one that makes the same ample sense to the head as it does to the heart. What is the noble property’s relationship with Paris? Château Bouffémont, of course, has not been a private rentable venue for all of its life, having instead once served as the residence of the Marquise of Preignes and Baron Empain. These distinguished individuals were among many of the European nobility and gentry to build or reside in chateau-like properties that were often strategically situated to offer the best of rural and city life. The 19th-century ‘great and the good’, after all, often had strong business connections to cities like Paris. It, therefore, made sense to live in a prestigious and resplendent manor house in a sufficiently beautiful and tranquil location for hosting guests, while also being close enough for the residents to be able to head into the city whenever circumstances required. Now, the advantages enjoyed by such lords of the manor can be yours, when you rent the esteemed Paris chateau for your birthday party, bridal shower, family reunion, corporate event or team-building event. Alternatively, you may be interested in Château Bouffémont simply on account of the opportunity that it affords to book a romantic getaway to one of the most romantic properties imaginable, a mere 30 kilometres away from one of the world’s most legendarily romantic cities. It is one thing, of course, to rent such an enchanting venue this close to Paris, a city with a reputation as one of the true culture, fashion and recreational capitals and renowned for the most impeccable cuisine, world-beating art and legendary history, as explained by The Telegraph. However, it is quite another thing to head for the myriad of stimulations and inspirations served up by the French capital, in the knowledge that after your day of urban exploration and discovery is over, you will be returning ‘home’ for the night to a genuinely extraordinary heritage venue. Château Bouffémont is precisely that property, combining the finest in aristocratic charms with modern comforts, while also being easier to reach than you might think, given that we are just a 20-minute journey from Charles de Gaulle Airport. With the sprawling 2,200-hectare Montmorency Forest also practically on the doorstep of our Paris chateau just beyond our spectacular manicured French gardens, you really can experience the best of both the countryside and the city during your time as the guest. 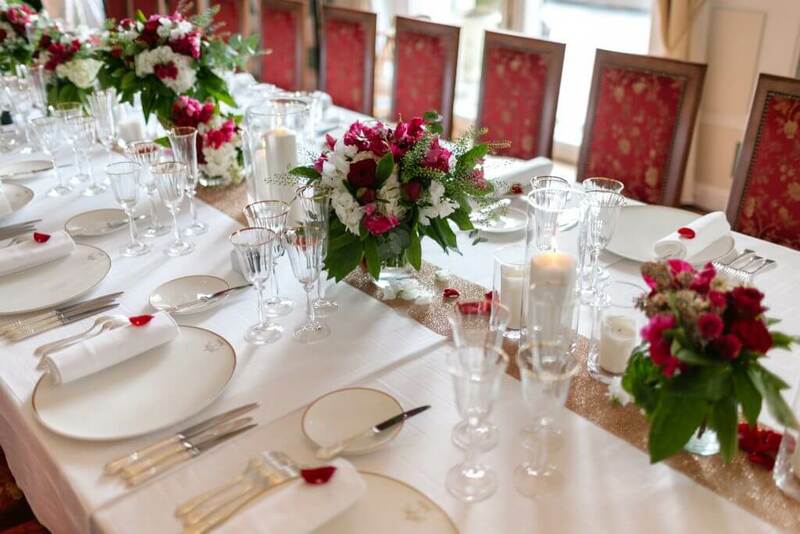 It couldn’t be more straightforward to begin turning your Paris chateau dream into reality; simply contact our team today, and we will get back in touch with you to discuss how we can cater to your bespoke requirements in the finest detail when hiring this unique, luxurious and well-located venue. For Your Next Birthday, Why Not Stay in an Exquisite French Chateau? It’s one thing to mark many happy returns with a well-chosen glass (OK, perhaps make that bottle) of the finest of fine wine, surrounded by your loved ones… and it’s quite another thing to truly go the extra mile with your celebration. Have you, for instance, considered celebrating your next birthday in the resplendent surroundings of your very own chateau in France? What makes the French chateau experience different? While Cambridge Dictionary simply defines a chateau as “a large house or castle in France“, there’s no doubt that many of us have much richer and more in-depth associations with the term than this definition implies. The faintest mention of chateau rentals in France tends to conjure up images of spectacular verdant grounds on the outside and the most refined and tasteful decor on the inside. In other words, we tend to picture a stone-built property like Château Bouffémont, which certainly has impeccable credentials as a French chateau in which to toast your birthday in considerable style. From its five grand reception halls and nine magical suites, right through to its whole equipped guest kitchen and the full-service team consisting of a chef, butler, housemaid, security guard and concierge, every element of Château Bouffémont exudes sophistication for a suitably sophisticated clientele. Such elements all befit the building’s extraordinary heritage as an erstwhile residence of the Marquise of Preignes and Baron Empain. From its earliest days, Château Bouffémont has lent itself beautifully to all manner of prestigious events, such as the ceremonies hosted by its noble former residents. Today, it continues to cement its reputation as a unique and luxurious private venue for almost every kind of special occasion – not only birthdays. Whether it is your 20th birthday, your 30th, 50th or literally any other key milestone, you could not hope to choose a backdrop that is more guaranteed to impress your friends and family than Château Bouffémont. Our chateau rentals in Paris entail you and your guests gaining access to the entire 2,000 square metres of the splendid historic property; for a brief time only, you will be lord of the manor and the chateau will be yours. But it is not only the height of utter opulence that practically defines the Château Bouffémont experience; it is also a definite sense of fun. This is shown by the variety of recreational, leisure and sporting activities that guests of all ages can partake in, encompassing golf, tennis, horse riding, arts and crafts workshops, cooking classes and many more irresistible possibilities. Nor have we even touched on the small matter of our property being situated just 30 kilometres from central Paris. That is the perfect proximity, we’re sure you’ll agree when you wish to incorporate the many attractions of the endlessly delightful French capital into the kind of action-packed birthday you are sure to remember for decades to come. 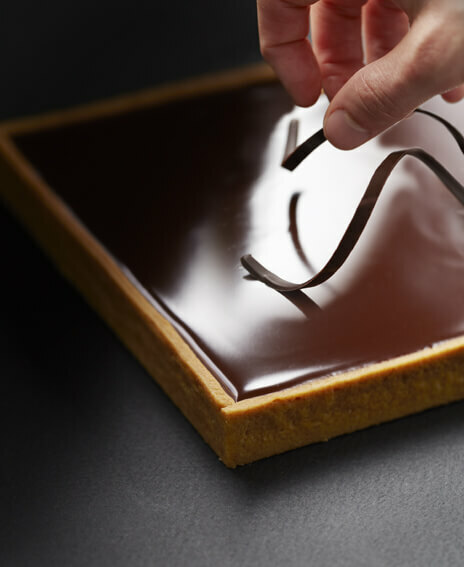 Indeed, the Everyday Parisian website has more than a few excellent ideas for ways to while away the hours in Paris when making a birthday visit. 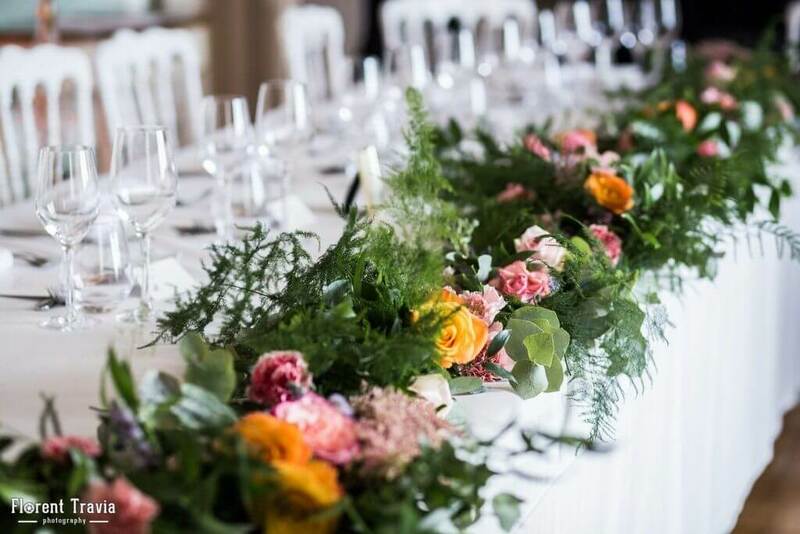 When it comes to birthday chateau rentals in Paris, there can simply be no equal to the infinitely rewarding Château Bouffémont – so why not enquire today about how we can help you to make the noble property your base for your upcoming big bash? France has long provided the perfect stage for the quintessential romantic break. But when you are planning such a holiday with your beloved, whether the two of you have been an item for several weeks or several decades, what are the elements that will help to make your trip especially memorable? When you make the best choice of venue for your long weekend away in France, so much else will naturally fall into place. After all, one cannot help but get a little loved up in such extraordinary surroundings as those presented by the Domaine du Château Bouffémont. This fairytale venue ticks so many of the obvious boxes for a magical romantic break, and many others less obvious. The Château Bouffémont is situated in the heart of the Montmorency Forest, for instance, which may mean much time during your break is whiled away walking hand-in-hand with your sweetheart, admiring the chestnut, beech and oak trees that grace these 2,200 hectares of hilly forest. While the rural location certainly lends itself to an outdoorsy romantic break, the aristocratic charm and modern comforts of the Château itself also demand appreciation. This is the ultimate enchanting setting for a long weekend in France, whether you wish to enjoy an in-suite breakfast, tuck into a candlelit dinner, relax with a massage for two or gaze at the captivating sunset view from the terrace. Château Bouffémont was, after all, built in the 19th century for such demanding residents as the Marquise of Preignes and Baron Empain. With its five grand reception halls, nine delectable suites and sumptuously manicured French gardens, it is a noble residence that was conceived from the ground up to exude romance. Don’t forget, too, the separate additional guest kitchen that we provide for your use on a 24-hours-a-day basis and the dedicated full-service team – including a private butler and housekeepers – that will help to take every last ounce of stress out of your romantic stay. If simply observing the refined furnishings and extensive gardens of Château Bouffémont didn’t give enough of a sense of being in a different world, that impression is only maximised when one makes the most of our proximity to the City of Lights. After all, no French romantic break is arguably complete without a trip to Paris, a mere 40-minute drive away from our chateau. The capital presents you with a host of romantic sights, ranging from the Eiffel Tower and the Louvre to such occasionally overlooked delights as the covered shopping arcades of the Right Bank and the Musée de Montmartre, the latter set in the 17th-century manor formerly home to the studio of Impressionist painter Renoir. Throw in such other idyllic and intriguing attractions nearby as the 13th-century Royaumont Abbey, the Musée National de la Renaissance and the village of Auvers-sur-Oise that inspired such artists as Vincent van Gogh and Paul Cézanne, and a weekend stay at Château Bouffémont really does offer all of the ingredients that epitomise holiday romance. Why not speak to us now about what a wonderful break at this prestigious venue could involve for you and your one-and-only in 2018? 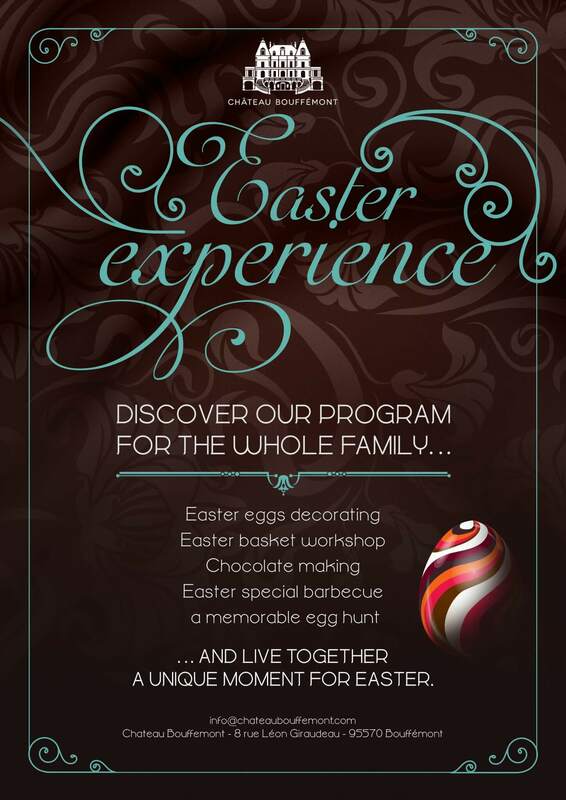 Wait no more and discover as of now all the activities Château Bouffémont has prepared for the whole family. 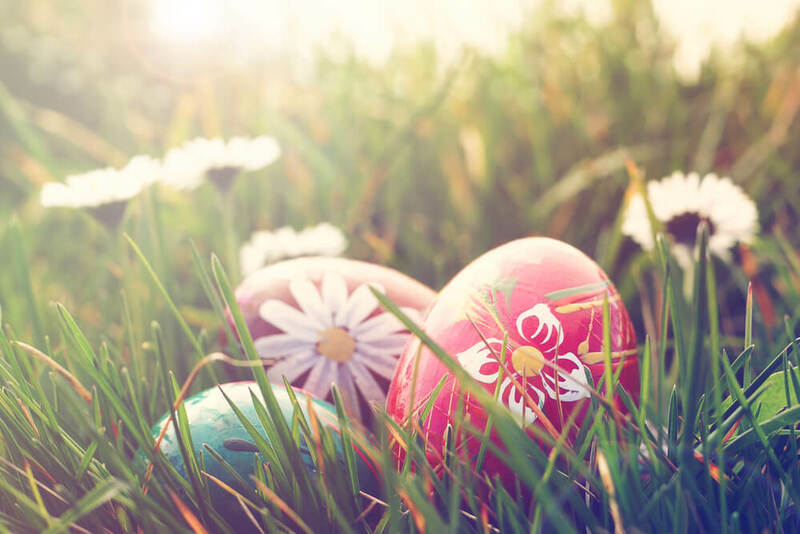 Offer your children a memorable Egg hunt. The Easter Bunny, the Easter Fairy and our Magician will guide the kids to find the hidden eggs in the Château gardens. Have an amusing moment in the company of these friendly characters. 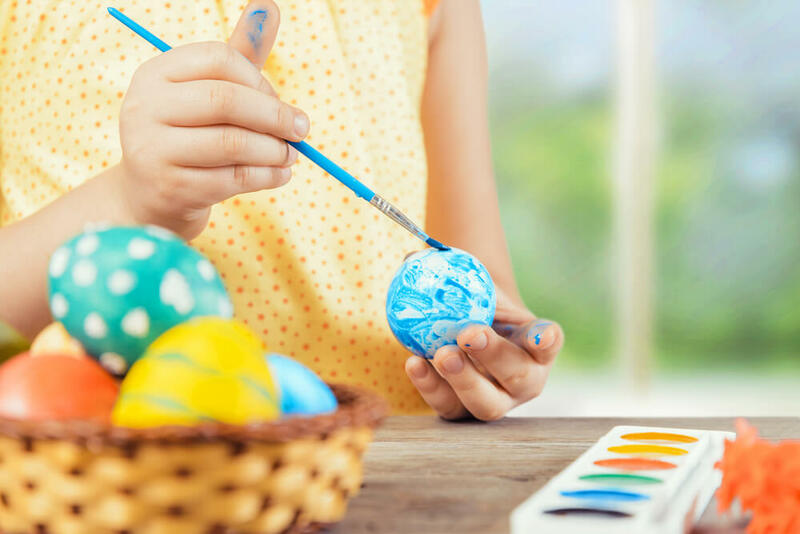 Easter eggs decorating : Give your own touch to the Easter eggs and reveal the painter inside you. Then it’s time for an egg battle. Make your own egg basket : Assisted by an artisan, learn how to make a traditional hand-woven basket. An interactive class which will delight the children and the parents. 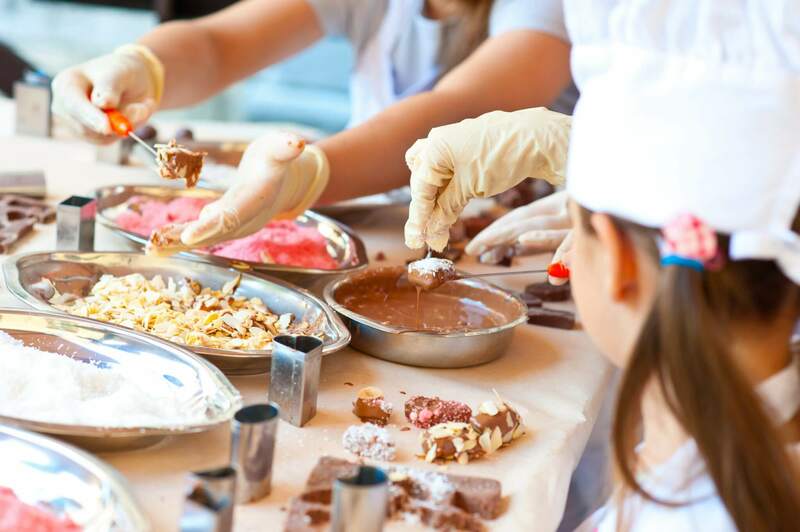 A 2-hour workshop during which the whole family will learn the best technics to cook the big classics of chocolate from the traditional French mousse to the chocolate cake, including the famous macarons.